Why is it important for the museums and heritage sector to mark 20 years on from the Disability Discrimination Act? What’s been achieved? How can we raise ambition in becoming more inclusive? These three questions underpinned our ‘Inclusive Heritage’ Conference, bringing wide ranging national disability and heritage sector leaders together. Delegates from more than 100 organisations such as the National Trust, SHAPE and Woodland Trust, attended the event. Last month’s 20th anniversary of the DDA becoming law (since replaced in England Scotland and Wales by the Equalities Act in 2010) provided the perfect moment for us to look to the future. Our Chair, Sir Peter Luff, introduced the conference by making a clear commitment to both access and diversity within HLF’s work. 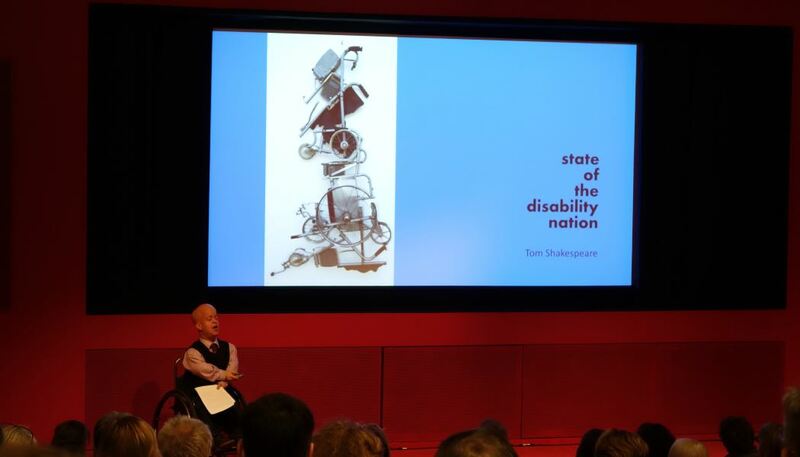 Dr Tom Shakespeare (pictured main image), Senior Lecturer at UEA, delivered a key note speech and reminded us of the power of disabled people in achieving social change throughout history and across the world. Famous names he cited as inspiration included Frida Kahlo, Matt Fraser and Florence Nightingale. Urging us to continue involving the expertise of disabled people as central partners within the museums/heritage sector, Tom put into context both history and social justice as a framework for the day’s discussions. Tom’s ambitious vision focussed on achieving equality, something that was echoed by Esther Fox, Head of Accentuate Programme, a major HLF funded project exploring sites of national disability history. She spoke of the barriers she had personally experienced as a young disabled woman at art school before describing the enormous contributions disabled people make to the UK’s wider society. RSPB Minsmere and the Foundling Museum featured in a short film commissioned by HLF to demonstrate examples of good quality inclusive practice. 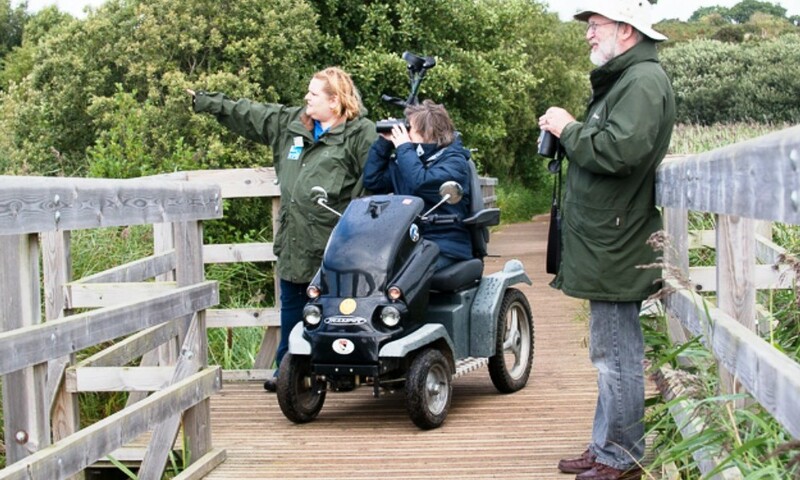 The life experience and skills of disabled people informed the partnerships at each site, resulting in more open and welcoming sites for all. Moving to the afternoon, delegates had a choice of five workshops ranging from organisational values informing inclusive access, improving heritage design and communication and the social histories of disabled people. A gallery workshop, led by Deaf BSL signers, enabled delegates to learn more of the practical interpretation and learning styles available at Tate Modern. Returning to the auditorium, Corali, a company of learning disabled performers performed with the help of video, dance and music. Wrapping up the day, our CEO Carole Souter led pledges for future action. These extracts below give a flavour of the range and breadth of what HLF and delegates made a commitment to. Discussion throughout the day hinged on the role of disabled people as central to heritage, whether as staff, visitors or consultants. The recognition of the role of hidden disabilities, for example by promoting positive mental health, was discussed as was the recognition that good inclusive practice benefits us all. What will your organisation be doing in 2016 to promote inclusive heritage? We’re looking forward to new and strengthened partnerships ahead. Find more on the ‘Inclusive Heritage’ conference here. And if you’ve got your own experience on inclusive heritage practice to share? Join the discussion here.